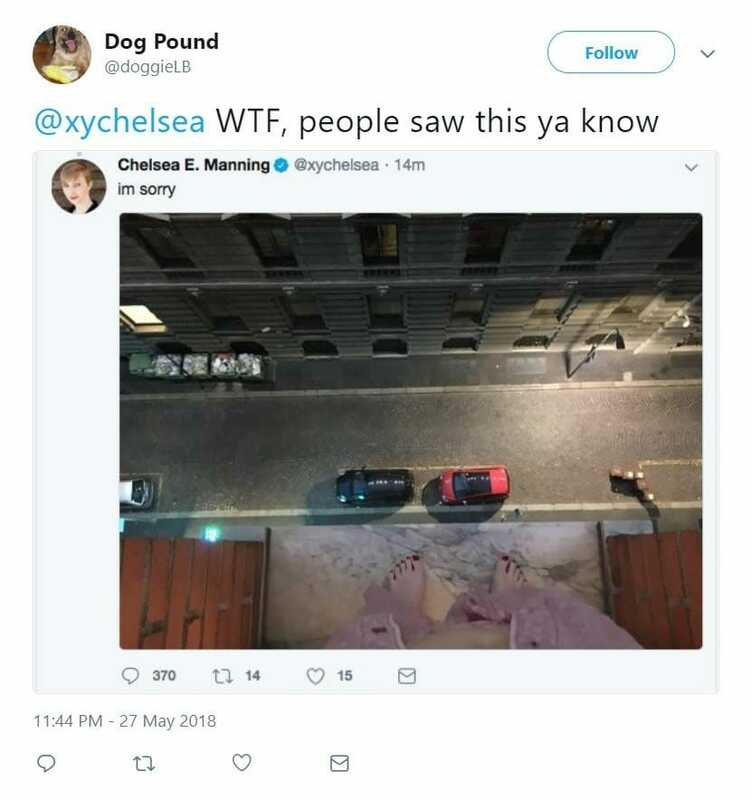 Chelsea Manning (formerly Private First Class Bradley Manning) tweeted a suicide note and a picture of herself standing on the edge of a tall building on Sunday night. Manning, a Democratic Senatorial candidate, posted what appeared to be a suicide note on Twitter around 8:30 PM on Sunday. Chelsea then posted a frightening photo of herself on the outside ledge of a very tall building. Following her suicidal tweets, a tweet from her account later said she is safe and the suicidal tweets were removed from her account.